It's National Blueberry Pancake Day! Yes, that's an actual thing and I could not be happier about it. Today, I'm partnering with Driscoll's to share the perfect recipe for celebrating this delicious holiday! Pancakes are one of my favorite weekend breakfasts. They remind me of growing up and being home with my family when my parents would whip up a triple batch (there were a lot of us, after all) and we'd all sit around the table laughing and eating together on a lazy Sunday morning. And while I love pancakes in general, I really love blueberry pancakes-- the pop of tart sweetness makes a normal pancake extra special. 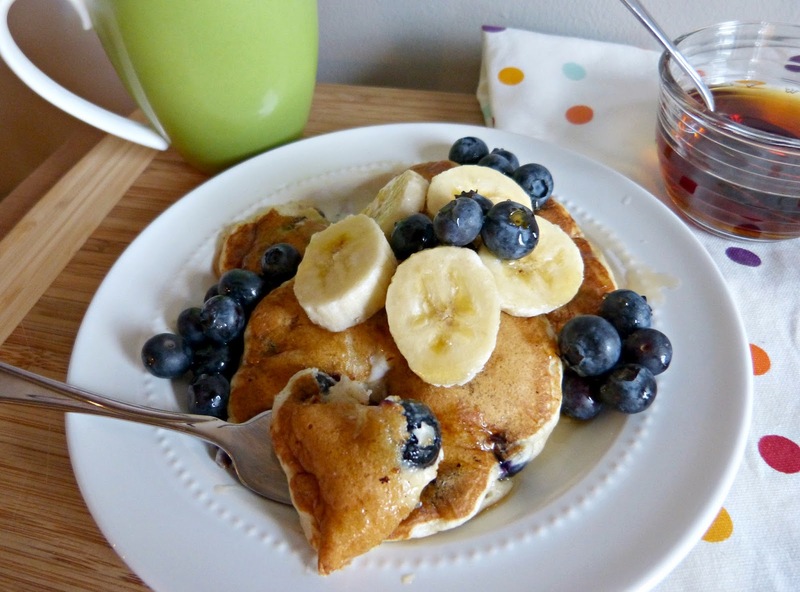 And the recipe I am sharing with you today is super special: blueberry banana buttermilk pancakes are moist, fluffy, and full of fruit flavor. 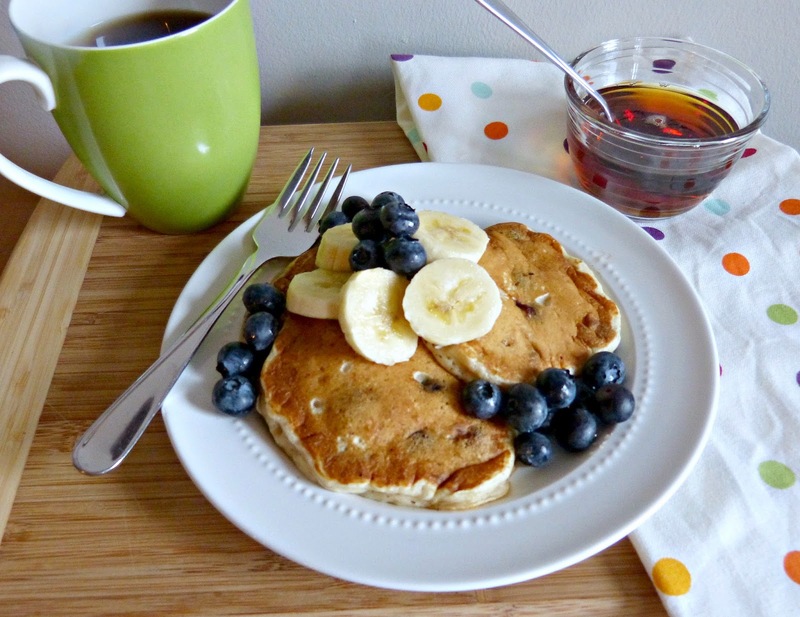 Buttermilk pancakes are a no brainer, but I love to fold in mashed ripe bananas. They add a great consistency to the pancakes, a subtle banana flavor, and they eliminate the need for extra sugar in the batter. So, between antioxidant rich blueberries, potassium-filled bananas, and the elimination of added sugar you could almost call these pancakes "healthy." Right? Healthy or not, blueberry pancakes are the perfect breakfast for whipping up to share with your friends and family. It's a comforting and classic breakfast that's definitely a crowd pleaser. 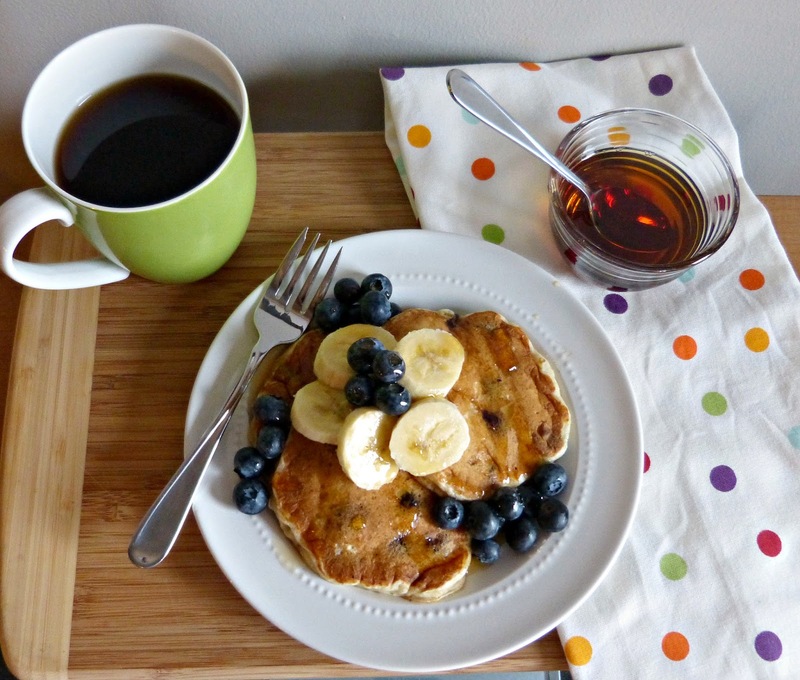 For serving, I highly recommend that you top these pancakes with fresh blueberries. Plump fresh blueberries provide a fun textural difference to the warm and super sweet cooked berries inside the pancakes. And these Driscoll's berries are beautiful, so who wouldn't want to eat a plate full of these pancakes? In a large bowl, combine flour, cinnamon, baking soda, and baking powder. In a separate bowl, whisk together the beaten egg, buttermilk, oil, and bananas. Add to the dry ingredients and stir until just combined. The batter may be lumpy, but don't overmix it. Fold in blueberries until evenly distributed. Lightly grease a large nonstick pan and heat over medium heat. Drop 1/4 cup pancake batter and cook for 2-3 minutes, until the batter begins to bubble and the bottom is golden brown. Flip the pancakes and continue to cook until the edges are dry and the second side is golden brown as well. Serve warm and top with blueberries, sliced bananas, maple syrup, or butter. Editor's Note: This post was sponsored by Driscoll's. As always, the opinions expressed herein are my own. Thank you for supporting the brands that support A Squared! Blueberry pancakes are the best! 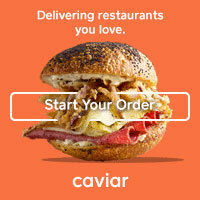 A Squared is all about life, love, and the pursuit of great food here in the fabulous city of Chicago. I love food: both cooking (it's my therapy) and trying new restaurants. You can also find me exploring Chicago, traveling, drinking wine, studying architecture, and spending time with my husband, friends & family. And I will share it all with you here. Welcome to A Squared! Unless otherwise credited, all images by Anne/A Squared and may not be used without permission. Simple theme. Powered by Blogger.